On 19 November 2015, following two specially-crafted agreements with the Democratic Republic of Congo (DRC), the International Criminal Court (ICC) has transferred two of its convicted defendants, Congolese nationals Thomas Lubanga Dylio and Germain Katanga, to serve the remainder of their sentences in a national prison facility in DRC. (1) The transfer represents a precedent in the practice of enforcing the sentences of fully international criminal tribunals – here also counting the ad hoc international tribunals, i.e. the International Criminal Tribunal for the former Yugoslavia (ICTY) and the International Criminal Tribunal for Rwanda (ICTR) – as for the first time the state of origin of the perpetrator has been effectively decided as the enforcement state. The decision paves the way for discussion over its potential impact on the future of the established system for enforcement of international sentences, as well as its significance, particularly in the light of the challenges the enforcement system has encountered through the enforcement practice of the ICTY. 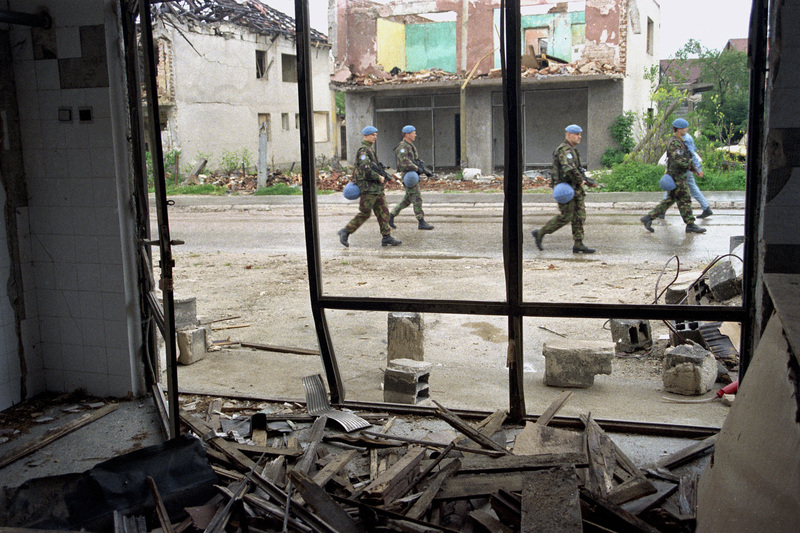 The activation of the ICTY in 1993 marked the “rejuvenation” of international criminal justice after World War II. Besides providing at the time a much-needed momentum for prosecution and adjudication of international crimes, the tribunal established a system for enforcement of sentences where, in the absence of official international prison facilities, convicted persons are being transferred to national prisons in those states that entered into special agreements for that purpose with the Tribunal, to serve their sentences there. The structure of the system has been later adopted by both the ICTR and the ICC, however, with some practical modifications. For instance, the ICTR has tended to consolidate the majority of its convicts in Mali and Benin, whereas the ICC seems to follow the dispersion model of the ICTY, where smaller groups of convicts are usually dispersed among different states. 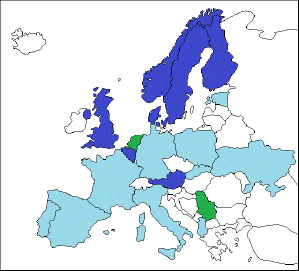 In fact, seven out of 12 states with which the ICC signed enforcement agreements are those European states hosting (or having previously hosted) the ICTY prisoners (see Figure 1): the current enforcement decision of the ICC should be therefore analyzed against the backdrop of the enforcement experience these states share. Due to the 1993 Security Council prohibition(2) to transfer the ICTY convicts back to their states of origin for enforcement, the ICTY (nowadays the Mechanism for International Criminal Tribunals, or the MICT)(3) has from the beginning of its mandate been dependent on the willingness of other states to accept its convicts in their prisons. The validity of the Security Council prohibition was not questioned in the midst of the violent conflict in the Balkans as there was serious concern that national institutions could not maintain impartial enforcement in accordance with relevant human rights standards. A shift of opinion started in the 2000s when the ICTY, after the introduction of Rule 11bis to its normative framework, transferred several of its accused to the former Yugoslavian states to stand trial there and, subsequently, incarceration in national prisons. Arguably, many ICTY prisoners and ex-prisoners would nowadays testify to the prohibition – which is still in force – as creating aggravating difficulties for them, but also for the ICTY as well as the enforcement states. The possibility to serve a prison sentence in a familiar environment (i.e. via social, lingual, cultural and family ties) is nowadays strongly encouraged by instruments regulating international prison transfers on the grounds of supporting effective rehabilitation, yet rehabilitation does not seem to be a dominant principle guiding the enforcement of the ICTY sentences in practice. Given its dependence on other states, as well as the fact that states themselves carry the costs of enforcement – something which the ICC enforcement states are also burdened with – the ICTY could never have demanded enforcement from other states, even after they signed the enforcement agreements. As a result, the ICTY has been forced to maneuver through criteria discretionally imposed by the states – such as being willing to enforce only sentences of a certain duration or only a limited number of sentences (altogether or within a certain time frame) – when negotiating a state of enforcement. (4) This means that prisoners are being transferred to prisons based on a “lottery” system, where prisoners’ personal considerations regarding the state of enforcement would be taken into account only if there would be enough willing states at the time to choose from. Perhaps the only rehabilitative aspect the ICTY has continuously been able to fulfill concerns the enforcement inside Europe and not on other continents, given that this would make the possibility to maintain contacts with families meaningless and to that degree aggravating already detrimental effects of imprisonment in a foreign state. Nevertheless, significant inconsistencies can be observed between different European states’ experiences of enforcement practices. (5) Daily enforcement is subjugated to the national laws of the states and the ability of states to meet the needs of international prisoners is based on general quality and sensibility of their penal systems. (6) In addition, the status of an ICTY prisoner, being both foreigner as well as internationally convicted criminal, can have a significant impact on the quality of prison treatment, dictating e.g. the level of prison security, imposed restrictions, visitation regime, work detail as well as availability of other services, including coherent rehabilitation programs. If a state is not already sensitive to the needs of foreign nationals as prisoners, the standard of provided programs, if any at all are provided, can sink well below those that are offered to nationals. Another question is whether rehabilitative programs can offer more than merely satisfying the basic needs of incarcerated people, especially in terms of their moral and social rehabilitation. Crime etiology of international criminals can go well beyond the lack of basic problem-solving or social skills, towards which general offending behavior programs are oriented. Many perpetrators feature members of political or military elite, highly educated and socially intelligent, who nevertheless mandated commission of atrocious acts. Similarly, there is a plethora of “average Joes” among the perpetrators who, induced by extraordinary war-time circumstances and under auspices of state policies, committed grave crimes. Many of them lack criminal identity as what they did was considered an act of obedience and not deviance, therefore they might be (self-) assured they did nothing wrong. Assisting these people in understanding the wrongness of their acts and giving them the opportunity to make amends to societies they have grieved is something the rehabilitation should strive for, despite being difficult to achieve as long as prisoners bear grievances because of inequality of their prison treatment. Many prisoners also argue that sending them to foreign states is unnecessary aggravation of their punishments, as next to the increased isolation provided by prisons featuring foreign cultural, lingual and social milieu, the states themselves are not welcoming them to stay, therefore they are often denied services such as psychological counseling, better remunerated work detail or furloughs, which are usually granted to national prisoners who are later re-integrated back into their societies. On the contrary, the ICTY prisoners are mostly forced to leave states of enforcement upon their release, which due to the practice of the tribunal usually happens after 2/3 of the sentence served. There are broadcasted instances of ex-prisoners returning to their home states only to re-embrace former dangerous rhetoric without actually expressing remorse for their acts; however, it might be worth asking whether this is a consequence of “incorrigibility” of these persons or a justice system that did not do enough, or in fact, further solidified perpetrators in their attitudes. Socrates spoke of a true knowledge coming from within a person – and criminal justice should contribute to such a development. Yet inducing personal change in prisoners by implementing mechanisms and conditions that brought the atrocities afore in the first place (i.e. dehumanization of human beings) will be almost certainly met with failure. What the enforcement system should first consider then, is how to reduce unnecessary harm delivered by discrepant prison conditions and treatment, before any meaningful improvement in rehabilitation of international convicts is made. With regard to the enforcement decision of the ICC in Lubanga and Katanga cases, it is worth pondering the extent to which it might have been influenced by trials and tribulations the ICTY had (and continues to have) in enforcement of its sentences. Has the Presidency of the ICC come to a conclusion that the pains of finding a willing enforcement state – only to be later potentially faced with complaints from both Messrs. Lubanga and Katanga as well as national authorities of their respective enforcement states – are simply not worth the trouble of going through, therefore leaving the DRC to cope with their nationals might be the best pragmatic choice, or is it a carefully though-through decision intended to promote the development of complementarity of international and national justice institutions in reaction to atrocity crimes? The ICC holds the prerogative of supervising its sentences and, given that most international prisoners tend to be released from prison to their home states anyway, making the latter accountable for purposeful imprisonment of their citizens might just be a valid way how to mutually and more directly engage both perpetrators and (post-) conflict societies into a proactive transition, from violating internationally recognized human rights and values to supporting them. As such, it is to be seen whether the decision will pave a new way in the enforcement of international sentences, or will attain only an ad hoc quality. Filip Vojta is a doctoral candidate in International Max Planck Research School on Retaliation, Mediation and Punishment (IMPRS REMEP), Max Planck Institute for Foreign and International Criminal Law (Freiburg, Germany), currently completing his dissertation on the enforcement of the ICTY sentences. He is also a research member of the Max Planck Partner Group for Balkan Criminology and the Chair of the European Society of Criminology Postgraduate and Early Stage Researchers Working Group. Report of the Secretary-General Pursuant to Paragraph 2 of Security Council Resolution 808 (1993) (S/25704, 3 May 1993). Mechanism for International Criminal Tribunals (MICT) is a comprised body established in 2010 to carry out a number of essential functions, including the enforcement of sentences, of both ICTY and ICTR after the completion of their mandates. The ICTR-MICT branch became active in 2012 and the ICTY-MICT branch in 2013. For more information on the ICTY state designation procedure, see Vojta, Filip (2014), “Punishment and Sentence Enforcement of Serious Violations of International Humanitarian Law Committed in the Former Yugoslavia”, in A.-M. Getoš Kalac, H.-J. Albrecht, M. Kilchling (eds. ), Mapping the Criminological Landscape of the Balkans: A Survey on Criminology and Crime with an Expedition into the Criminal Landscape of the Balkans, Berlin: Duncker & Humblot, pp. 401-427. See in detail supra Vojta 2014. In general, considerable discrepancy in treatment of the ICTY prisoners has been observed between Scandinavian states and those of Central/Western Europe, where prison conditions and treatment in Scandinavian states could be rated as having much better quality than in rest of Europe.